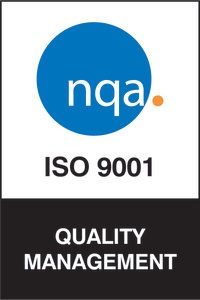 UKF Group companies – UKF Stainless Limited, JPC Perforators, Ferrari Stainless and Alloys Limited and Stainless Metal and Alloys Limited are accredited to the Quality Management System Standard ISO 9001:2015. UKF Group companies each have individual fully documented and audited Quality Management Systems tailored to their individual business needs, further supported by Quality Policies and Business Objectives that combine to form an integral part and link to both individual company and UKF Group’s Strategic Business Direction And Plan. The group are able to undertake automotive industry based quality planning, process control and formal part sample submission (PPAP) disciplines to further enhance full traceability of the Stainless Steel products it supplies to its customers. UKF Group regards the achievement of “total customer satisfaction” as a key business objective that is fulfilled through its philosophy and application of customer focus and support, together with continually improving upon its business methodologies. You can view and download our quality policies and certifications on our Download Page.